WATCH THE OFFICIAL MUSIC VIDEO OF ‘MY SYMPHONY’ BEFORE ANYONE ELSE! Exclusive opportunity! Watch the official music video of ‘My Symphony’ before anyone else! Want to be among the first to exclusively watch the music video of ‘My Symphony’ one day before its official launch? 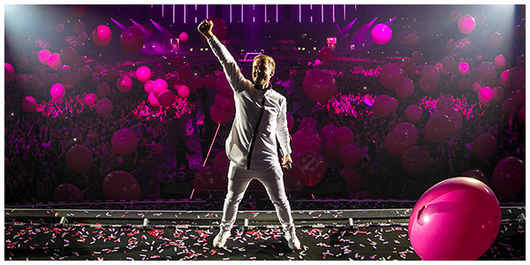 Follow Armada Music’s Top 100 playlist on Spotify to unlock the music video of the ‘The Best Of Armin Only’ anthem and earn yourself some bragging rights. Fresh from kicking off Armin van Buuren’s jaw-dropping live set at the mainstage of Ultra Music Festival Miami 2017, ‘My Symphony’ lays the foundation of his biggest live show yet. It’s a crossover composition that shows just how powerful the combination of those two worlds can be. No other tracks says ‘The Best Of Armin Only Anthem’ like this masterpiece.